Welcome to the Slovakia Football Shirts and Jerseys shop. This is the very best place for you to shop for original jerseys, team strips and kits along with official merchandise and accessories. The Soccer Box online store is the best soccer store in the world and our huge range of official merchandise caters for men, women, boys and girls with our official tops, jerseys and training kit available in kids, youth and adult sizes. The official merchandise you see here is available with fast worldwide shipping to Europe and beyond. The national team are one of the newest sides in world football, having been born from the separation of Czechoslovakia into the Czech Republic and Slovakia back in 1993. As such, the country maintains a rivalry with their former compatriots on a sporting front, and the sides have met repeatedly in European qualification. 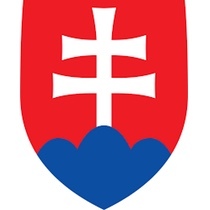 Slovakia's nickname is 'Repre', simply referring to representation. The national side plays home games in three stadiums at present; the Štadión pod Dubňom, Štadión Pasienky, and soon Štadión Antona Malatinského, which is being massively expanded. UEFA regulations meant that they could not play at the largest national stadium so the national team has had to play in smaller venues to meet these stadium requirements. The Slovakian government has financed the demolition and rebuild of the Tehelné pole stadium, due for completion in 2015 and which will become the national team's home ground once again. Various Shirts & Merchandise Available for Online Orders Now! The jersey for the home kit is traditionally similar colors to the national flag; white, blue, and red, with the away style focused more on the blue or red as the primary color to offer an alternative in the event of uniform clashes. The national team's gear are currently produced by Puma and can be combined with matching shorts and socks to create a full home or away outfit. The Puma merchandise is made under license for the national association and is used by the team for all of their international matches at home and away. Slovakia are have only qualified for one major tournament at present - the World Cup 2010 in South Africa. Despite losing twice in the qualifying campaign to nearby rivals Slovenia, the fledgling nation made it through to their first international competition where they were placed in the group stage with Italy, Paraguay, and New Zealand. With only one point from two games the final group game against Italy - four time World Cup Winners - was the last gasp attempt at progress for Slovakia. Miraculously, Slovakia won and the result meant they took second place in the group and progressed at the expense of Italy, meeting the eventual runners up, the Netherlands, in the next stage of the competition. The Soccer Box shop contains a huge range of merchandise for European nations including tops, jerseys, training gear and accessories for all the top teams including popular club teams from the Premier League, Spanish La Liga, French Ligue 1 and many more! We also have a large selection of Official 2014 FIFA World Cup products from all the top brands such as Nike, Adidas, and Puma, including players tops, training wear and accessories. The wide range of products includes national teams from Europe, South America, Africa and more! In addition to this Soccer Box has a massive collection of official Premier League merchandise and accessories. Our range includes shirts, jerseys, training wear and accessories for all the top teams in England and is carefully selected from the best brands in the world such as Nike, Adidas, Puma, Warrior and Under Armour. Whichever Premier League shirt you select we can personalize it with official printing and sleeve patches. If the Slovakia football shirts and jerseys are exactly what you're looking for or if you're searching for the perfect item to add to your collection then Soccer Box is the only place to buy now. Both the home and away style are classic, simple, stylish items that would fit into any collection and are the ideal way to show your loyalty to the team or just a bit of knowledge and broad taste in your sport. At Soccer Box we pride ourselves on great customer service so if you're looking to purchase a specific top from our online shop and you need some assistance then don't hesitate to contact our knowledgeable and friendly team.